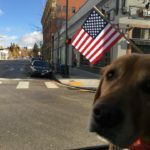 We cannot wait to attend the Boise Holiday Parade this weekend! It is such a wonderful tradition in Boise and we are so happy to join. November 17, 2018 9:45 AM in front of the Idaho State Capitol. Come join us November 17, 2018 in front of the state Capitol for the Boise Holiday Parade! The parade starts at 9:30 am and will be an amazing time. Stop on by and say hi to the Glowtato and Rudolph! Fall Is In the Air. . . The Big GlowTato is coming. . .
Join us in the VIP Room for the 6th Annual Idaho® Potato Drop in Cecil D. Andrus Park (Capitol Park)! Ring in the new year with music and live performances for an unforgettable night of entertainment. 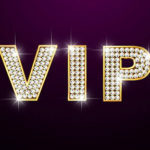 Enjoy VIP treatment and entertainment in a warm and elegant environment while enjoying 360 degree views of the entire event inside our crystal clear 40’x100′ room. Ticket includes: complimentary drink and hors d’oeuvres. Must be 21 and over, tickets available online through December 31st. $50 early bird special July 31st through September 30. $75 second tier pricing October 1 through October 31st. 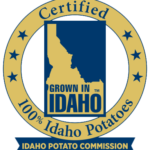 We are so thankful for Frank Muir and the Idaho® Potato Commission for coming on board and helping us from the first potato drop in 2013 to present. Thank you for the helpful advice, guidance and inclusion in the potato family. Our headliners PLANES ON PAPER made it in the Scene. 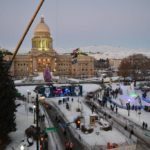 They chose to get married at the 2017-2018 Idaho® Potato Drop. We could not be more excited for them. They’ve been together as a band and a couple for years, and now it’s even more official. 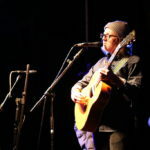 Borst’s children were there, including her daughter, Bella Dagdagan, a Davis High School student who played violin during the show that night. Mike Gervais, who played bass for Planes on Paper following his opening set with Seattle band Shallow Lenses, announced the engagement to the crowd just after midnight. 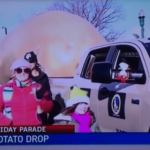 Another Reason to move to IDAHO- POTATO DROP!!! Summer is coming are you looking for fun activities? 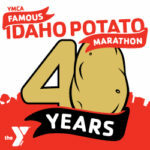 We will be at the YMCA Famous Idaho® Potato Marathon this weekend. We will be dancing and doing potato sack races. Join us it will be a great time! The YMCA Famous Idaho Potato Marathon, presented by the Idaho Potato Commission, is a fun full marathon, half marathon, 10K or 5K course along the Boise, Idaho greenbelt. All courses are flat and fast! 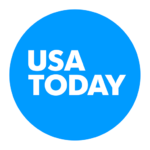 This marathon can be used to qualify for the 2019 Boston Marathon. Bring the entire family out for this event! We have a distance that will work for everyone. Being the 40th anniversary medals will be given to all finishers! Enjoy a Famous Idaho Potato Bar with all the fix’ns after the race prepared by Life’s Kitchen for all race participants. Did you know that all participants will receive medals this year to celebrate the 40th Anniversary! 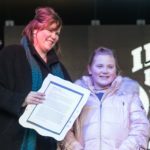 We are so pleased to have hosted “Gators and Taters” essay writing contest at the 2017-2018 Idaho® Potato Drop. The kids were so excited to read their stories and showed so much creativity! Here’s to the next adventure Elaine, thank you for including us in your final chapter! The team had a wonderful time being invited on the road with the Big Idaho® Potato Tour- Idaho® Potato Commission. 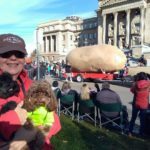 Larbear (The big Idaho® Potato Drop driver), Jessica (tater twin 1) & Kaylee (tater twin 2). 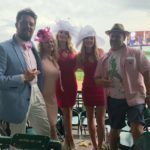 Although the Derby was rained out, the Spud was a total HIT at the Pegasus Parade and the Derby Oaks was delightful. So proud to promote Idaho and the Idaho® Potato in Good Ole’ Kentucky. We also had the pleasure of meeting some real nice folks and enjoying some quality southern hospitality.